Skangas – a subsidiary of Gasum – recently announced that the first shipload of LNG arrived at its import terminal in Pori, Finland, via the Coral Energy carrier from North West Europe. Now, the company has released a video of the delivery. The facility is due to be completed in August 2016, and is the first LNG import terminal in the country. Commissioning is currently underway, and commercial deliveries to customers are scheduled to commence in September 2016. The video can be viewed below, and more on this story can be read here. 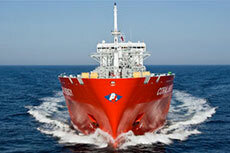 Gasum subsidiary Skangas has announced that its Pori terminal in Finland has received its first shipload of LNG. 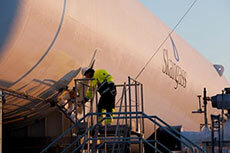 Skangass and Preem have opened a new LNG receiving terminal in Sweden. 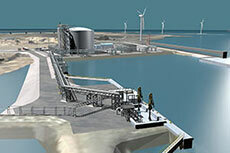 Skangass has made an investment decision and will construct an LNG terminal in Pori, Finland. 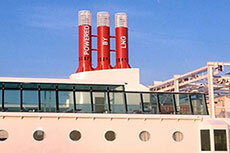 Skangass of Norway is building a LNG bunkering station in Risavika for Fjord Line cruise ferries after plans were approved.